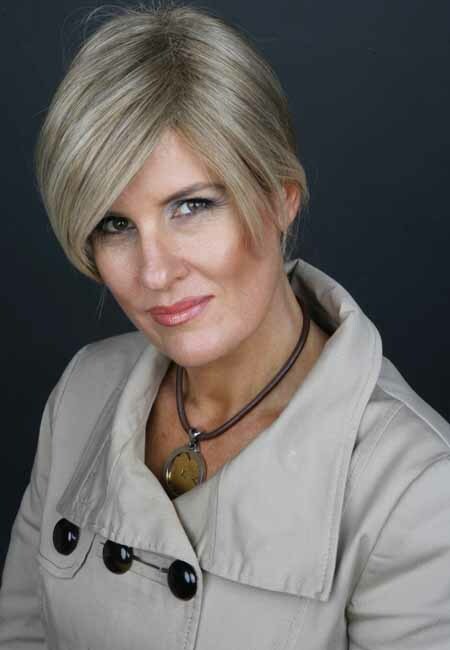 Melissa Penfold is Australia’s foremost authority on style and design with an unparalleled reputation as one of the country’s most respected and trusted journalists on the subject whose mass-reaching digital platforms now have an audience of more than 1.7 million. The Australia media crowned her ‘Queen of Style’, fifteen years ago, for her legendary access to top designers, retailers and brands that would otherwise be inaccessible, making her one of the most experienced, prestigious names on the Australian lifestyle scene. Melissa has created an unrivalled connection with people around the country, changing the way Australia shops and decorates. As a longtime weekly columnist for the Sydney Morning Herald, she set the agenda, inspiring and uplifting millions of readers a week, with her practical advice to make life easy and beautiful, for almost two decades. At 20 – with an Arts degree majoring in Communications and Journalism – she commenced her career with a work experience stint at ACP’s Australian House & Garden magazine. She was offered a job two weeks later and has been writing and raving about decorating, design, entertaining and gardens ever since. At 25 she was Belle magazine’s interior design editor. In 1996 she was headhunted by The Sydney Morning Herald to help start its Domain section, (they admired her unerring rightness for things). Her product columns - The Source in Thursday’s Domain - and - Bargain Hunter in Saturday’s Spectrum - won her a cult following with more than 2 million readers a week over 16 years. There were top-rating Super Shopper and Style Guide columns too, that many tried to copy. Melissa became the highest paid contributing editor in the paper’s history. It’s her timeless taste, simple aesthetic – and the subtle how-to nuances she shares – that readers love. She’s worked with the world’s biggest brands internationally and locally, B & B Italia, Poltrona Frau, Kartell, Cappellini; interviewed almost every living design great, and her work has appeared in every major Australian publication including Vogue Living, Belle, House & Garden, Marie Claire, Country Life, Harper’s Bazaar, Gourmet Traveller, Cosmopolitan, The Sydney Morning Herald, Sunday Life, The Australian, WHO, OK, The Sun Herald, Australian Financial Review magazine, and more. Melissa has two best-selling books Australian Style and Melissa Penfold’s Little Black Book: Sydney’s Shopping Secrets (Penguin/Lantern) which are the golden standard of reference books for leading architects, designers, stylists and magazine editor’s around the country. Since leaving Fairfax in 2012 Melissa has had magazine columns at Bauer Media’s Australian House & Garden and regularly collaborates with Belle magazine. She kicks off a regular new Style + Etiquette column plus House feature in Belle this April, where she takes people by the hand, and shows them how to shop, and live well in our very millennial world. Her main focus is now her digital platform - www.melissapenfold.com – website, blog, instagram and newsletter – Her popular weekly newsletter has an open rate 200% above the industry standard and click-open 400% the industry standard. Her instagram account has 87.9K+ followers and her posts reach around 600,000 a week. Melissa regularly partners with leading brands that resonate with her style including Waterford, Williams-Sonoma, Jo Malone, Pottery Barn, IKEA, Aerin, Maison et Objet in Paris, Pommery, Dash + Albert, Living By Design, Baker Furniture in USA, and is currently ambassador for Wedgwood. As well as Australian quality names like Parterre, Cadry’s Rugs, Fanuli Furniture, Shapiro, Australian Antique & Art Dealers Association, Boconcept, and many more. Melissa’s accomplishments as a best selling author, columnist, supreme arbiter of style, and digital media specialist have established her as one of the most well-respected influencers in Australia today. Married to the Honourable Nicholas Care, Deputy of the house of Parliament, Italy, she has two children, Isabella (26), and Hugo (23). Melissa divides her time between their homes in Sydney's Eastern Suburbs, and the Southern Highlands of New South Wales.